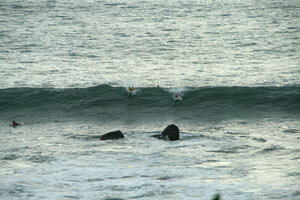 There is a reason why this surf spot close to Jaco is called Crazy Rock! With the right swell the ocean sometimes creates perfect rights here. 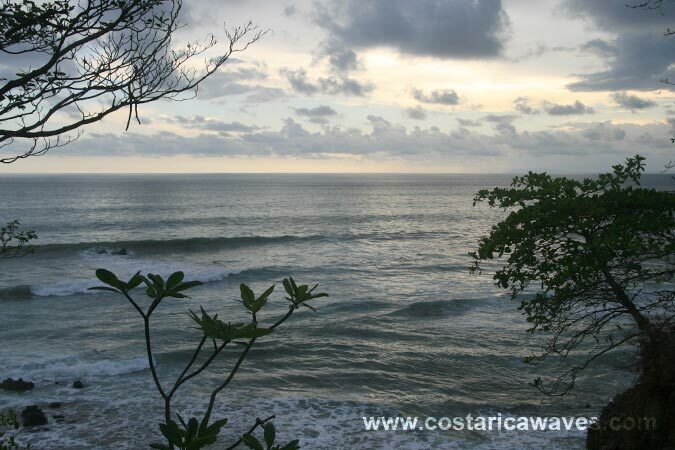 The rocks and cliffs at the southern end of the bay of Jaco are called Punta Guapinol, a bit to the right is Roca Loca. The wave breaks over a big rock. It is best surfed during low upcoming tide. Don’t go out here if you are not an experienced surfer! The access isn’t easy, one has to climb down the cliff. With strong swell from the Southwest the rocks can create big, powerful waves, three times overhead is possible here. View of Roca Loca from the cliff. If you look closely you can spot two surfers in the line up. 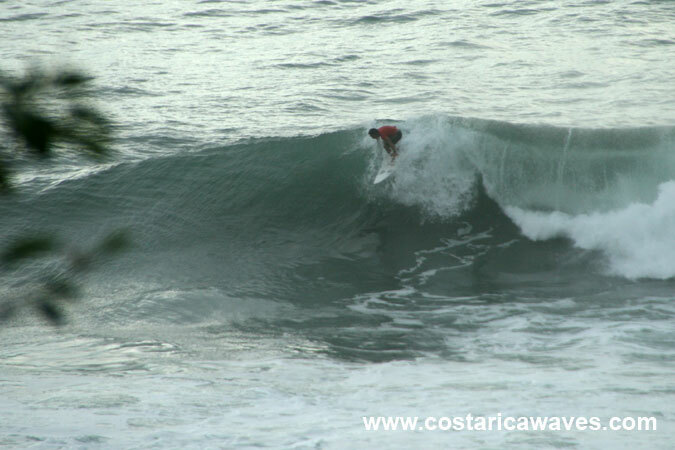 Bottom turn at Roca Loca. 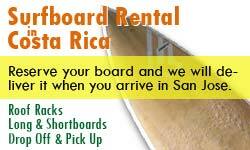 Dropping in at Roca Loca can be frightening. 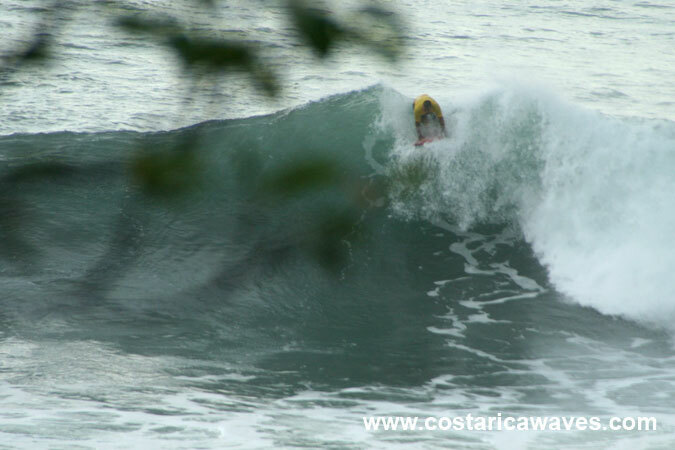 Paddling for a wave at Roca Loca. 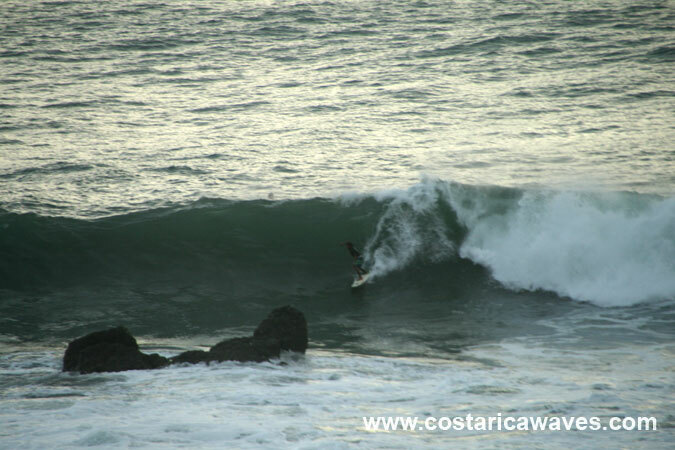 Sunset session at Roca Loca. 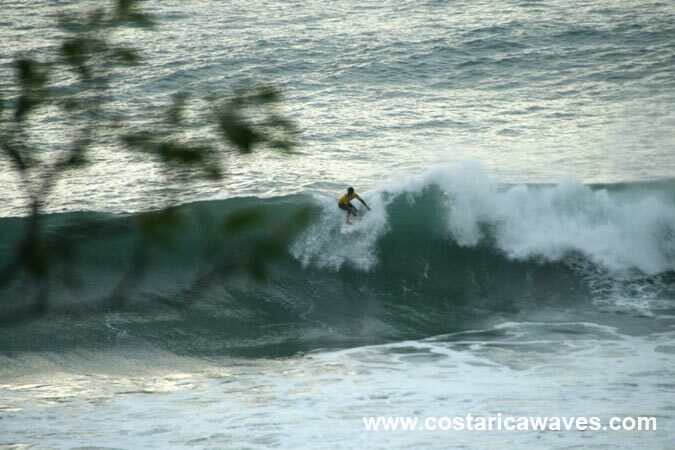 Alejandro Monge, from Piko Surf Shop, surfing at Roca Loca. 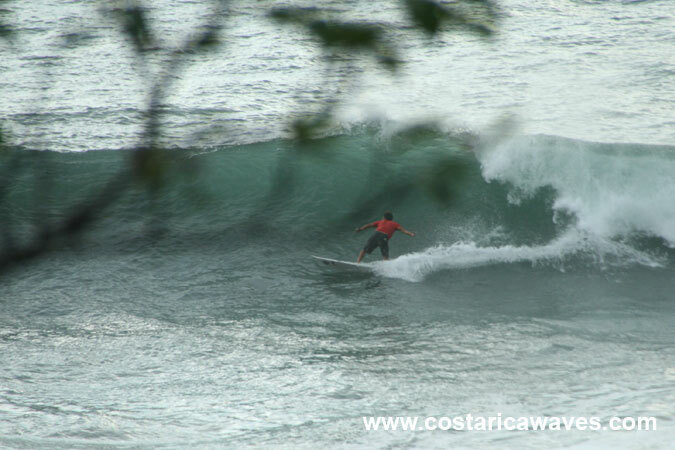 The wave at Roca Loca, between Jaco and Hermosa, is a powerful right.